Daniel Benton’s Andor Capital Management has recently filed its 13F with the SEC for the second quarter. Andor is a tech-focused fund and the sector amasses more than a half of its $1.08 billion equity portfolio. According to the filing, Andor held 28 long positions at the end of June, while its top 10 holdings accounted for around 70% of the total portfolio value. In this article, we will take a closer look at Andor’s top three picks, which include Tesla Motors Inc (NASDAQ:TSLA), Avago Technologies Ltd (NASDAQ:AVGO), and Apple Inc. (NASDAQ:AAPL). Daniel Benton is a former employee of Art Samberg’s Pequot Capital Management and he founded Andor Capital Management in 2001 together with his colleague Christopher James. James left Andor in 2004 and launched his own firm Partner Fund Management. The long/short fund has had solid returns from its tech picks since its inception, but shut down during the financial crisis in 2008. We track hedge funds and prominent investors because our research has shown that historically their stock picks delivered superior risk-adjusted returns. This is especially true in the small-cap space. The 50 most popular large-cap stocks among hedge funds had a monthly alpha of about 6 basis points per month between 1999 and 2012, while their 15 most popular small-cap picks delivered a monthly alpha of 80 basis points during the same period. This means investors would have generated a double-digit annual alpha simply by imitating hedge funds’ top 15 small-cap ideas. We have been tracking the performance of these stocks since the end of August 2012 in real time and our strategy has managed to return 123% since then, beating the S&P 500 ETF (SPY) by around 65 percentage points (see more details here). 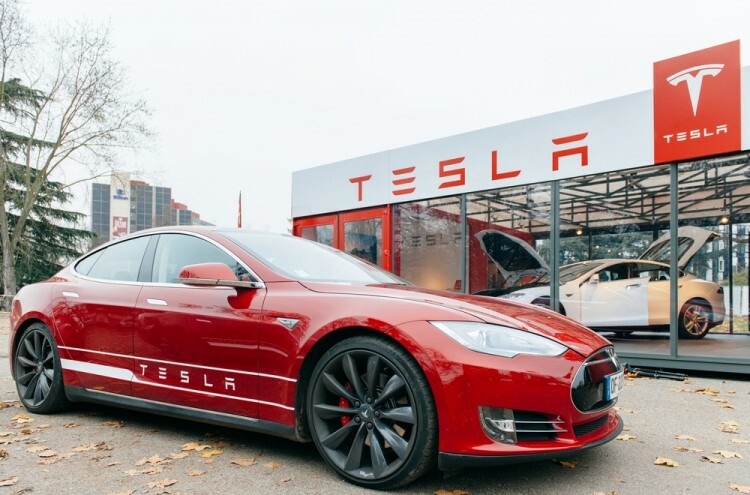 The electric car maker Tesla Motors Inc (NASDAQ:TSLA) represents Andor Capital Management’s largest holding, which contains 1.0 million shares valued at $268.26 million, accounting for almost 25% of the total equity portfolio. Tesla’s stock has advanced by more than 17% since the beginning of the year. In its latest financial results, Tesla Motors Inc (NASDAQ:TSLA) posted earnings of $0.48 per share and revenue of $1.2 billion, which were slightly above estimates. However, the company also lowered its delivery guidance to the range between 50,000 and 55,000 units. In addition, last week, Tesla announced a stock offering worth $500 million and plans to use the proceeds to accelerate its growth in the domestic and international markets. Andor is the largest shareholder of Tesla Motors Inc (NASDAQ:TSLA) in our database, followed by Dmitry Balyasny’s Balyasny Asset Management, which cut its stake by 27% on the quarter to 310,700 shares. However, many funds from our database also own “Call” and “Put” options underlying shares of Tesla.